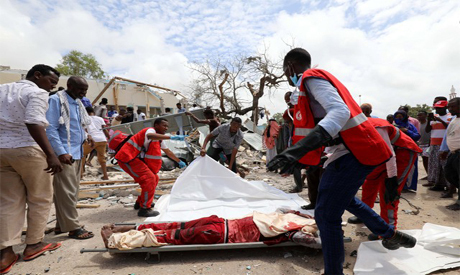 A new report says Ethiopia's air force has killed about 70 al-Shabab extremists in an airstrike in neighboring Somalia. The report says "two vehicles packed with weapons" were destroyed. It does not say where or when the airstrike occurred. It cites Brig. Gen. Yilma Merdassa with the air force as saying "we achieved 100 percent of our plans."